Join us for The Steve Jeffris Show, every Wednesday night from 6-9pm at the Fort Ben Pub in Lawrence, Indiana. 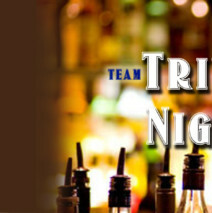 Join us for Team Trivia night at Fort Ben Pub. Thursday nights at 8:00pm Always FREE TO PLAY!! Gift Card Prizes for Winners! Drink and Dinner specials available every week. Can’t wait….See you there!